As the First World War draws to a close, all seems golden for Edward Deravenel, charismatic head of the house of Deravenel. His wife and young family are safe, ensconced in the family seat of Ravenscar, and his business empire has survived. Yet beneath the surface lies discord. Elizabeth Deravenel, his beautiful society wife, is jealous of his mistress. Her lies and gossip begin to damage the family name. But worse still is Edward's brother George. His reckless behaviour and treachery lead to blackmail and betrayal. The furtunes of the house of Deravenel suffer a terrible reversal as one disaster follows another, and tragedy strikes. It is Edward's daughter and her son Harry, who must rebuild Deravenels to greatness - whatever it takes. It has taken me quite a long time to complete this book. I read it, put it aside, picked it up again, put it down again and the process just repeats itself until I am pretty tired of Edward Deravenel and everyone else in the book. 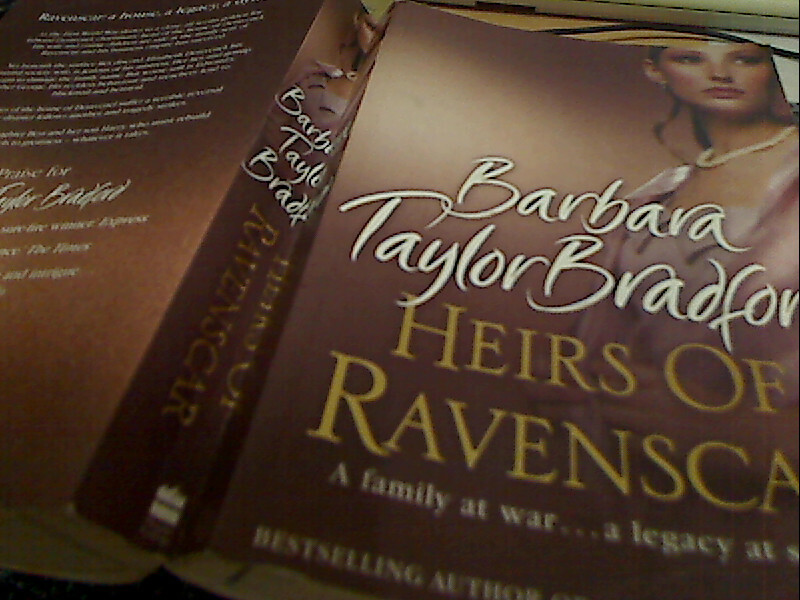 It is very disjointed and not what I would expect from such a great storyteller such as Barbara Taylor Bradford whose A Woman Of Substance is hailed as a great saga. Unfortunately Heirs of Ravenscar has not much substance. I didn't enjoy it. Maybe I am just not into such genre anymore but it was pretty much a chore to complete this book. It is just not for me. 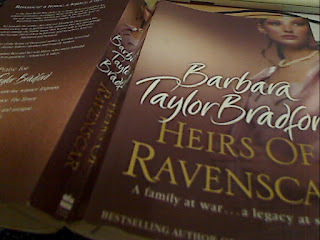 I won't be picking up a Barbara Taylor Bradford for a long time to come.